This past weekend I took a trip to the small town of Portola in Plumas county for a Northern California Audubon Council meeting hosted by Plumas Audubon Society. Audubon chapter leaders meet once a year for these council meetings to share their ideas and successes with other chapters and discuss ways to improve members participation and enjoyment of birding and conservation activities. 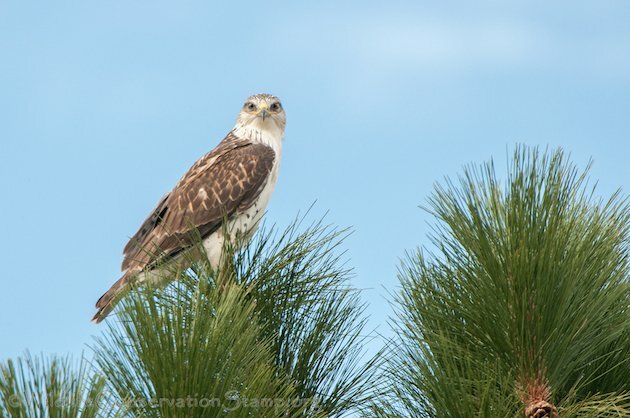 The last time I visited Portola was in the summer of 2011 when the Swainson’s Hawks (Buteo swainsoni) were nesting there. Click on photos for full sized images. This bird was perched along a country road where I was able to stop the car and acquire some close-up photos of him or her. These beautiful birds are now reduced in numbers or distribution throughout their range and considered to be declining in Utah, Nevada, and Oregon. They are listed as a Species of Special Concern in Utah, Nevada, Oregon, and Washington, and as Threatened in California. 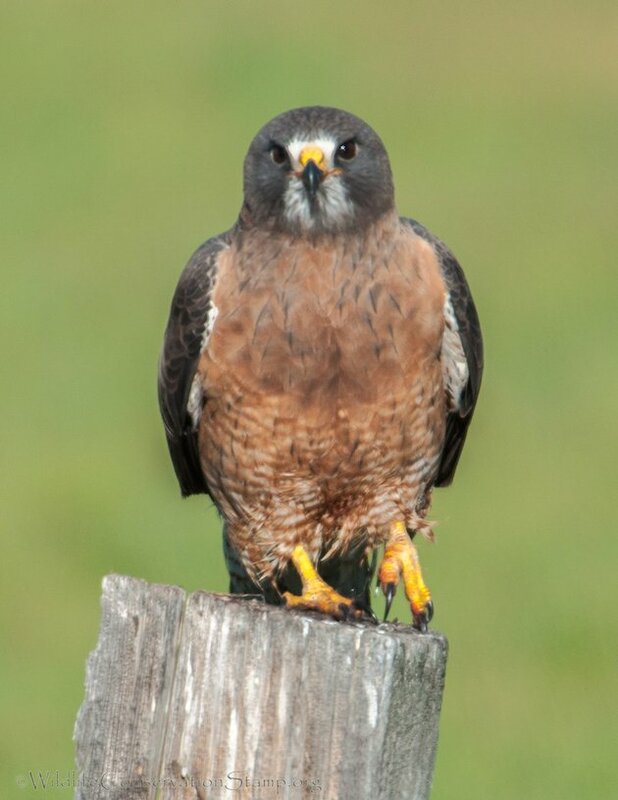 Each autumn, nearly the entire breeding population of the Swainson’s Hawk migrates from the temperate zone of North America to wintering areas in South America. From Canada, this migration is more than 10,000 km each way, a distance second among raptors only to that of the Arctic Peregrine Falcon1. They generally migrate in flocks that can be as large as 5,000–10,000 individuals, always during daylight, typically soaring in thermals. This video of a kettle of Swainson’s Hawks will give you some idea of this phenomenon. 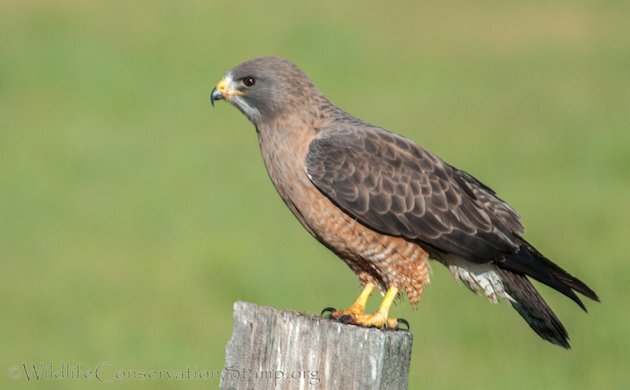 Like most buteos, the Swainson’s Hawk feeds its young rodents, rabbits and reptiles but not so during non-breeding season. 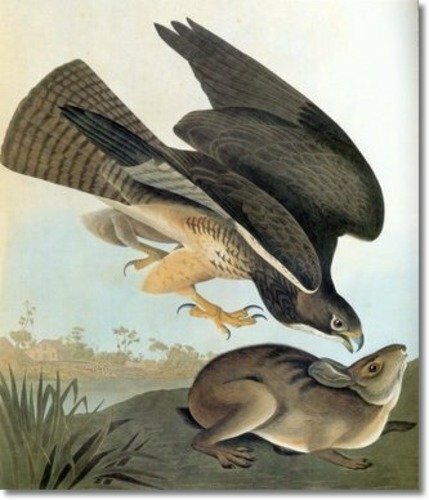 This is the painting of the species by John James Audubon in the early 1800’s. 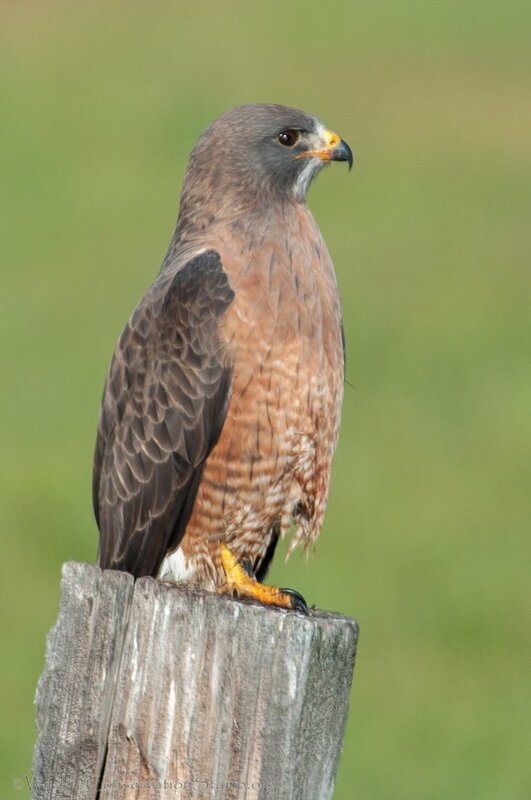 When it’s not breeding, the Swainson’s Hawk eats insects, primarily grasshoppers. Their numbers have dropped since the 1980’s primarily due to loss of feeding grounds in their U.S. and Canadian breeding territory, and pesticide use in Argentina where they winter. During my recent trip I also had the pleasure of spotting Rough-legged Hawks, Prairie Falcons, Northern Harriers and several Ferruginous Hawks (Buteo regalis). But that is another story.